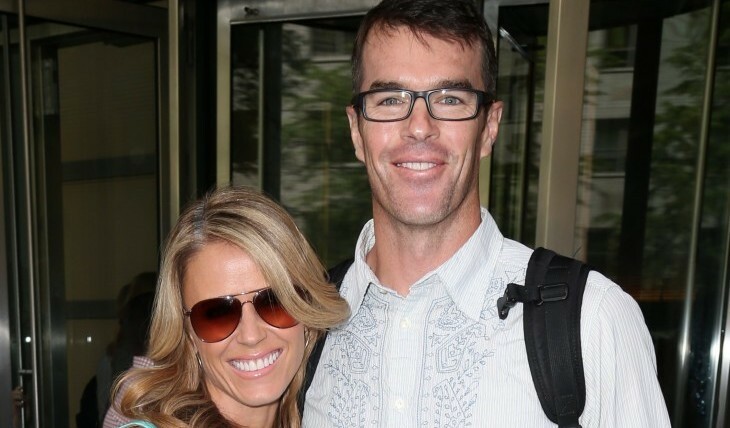 Reality TV viewers know Trista Sutter from the first season of The Bachelor where she grew to be a fan favorite on the show. When she ended as runner-up, ABC chose her as the first star of their new show, The Bachelorette. It was there that she met and fell in love with her husband, firefighter Ryan Sutter. Defying the bleak love statistics of the popular ABC franchise (as of 2013, only three famous couples have gotten hitched out of 25 seasons), Trista and Ryan married in 2003 and have since welcomed two beautiful children — Maxwell Alston and Blakesley Grace. Family life hasn’t slowed down this stay-at-home celebrity mom. She regularly contributes to several blogs and most recently wrote a book about the power of gratitude. With Thanksgiving only a few days away, the release of Sutter’s book is fitting. The mother-of-two says she is most thankful for her relationships with family and friends and the experiences in life that have taught her to cherish her blessings. “Moments full of sadness or strife have made me realize how short life is and helped me to appreciate it,” she says. When it comes to her celebrity marriage, Sutter says her relationship with husband Ryan is based on true love. Asked if they ever feel pressured to stay together because of their reality TV past, the starlet candidly responds, “I wouldn’t say that we are pressured to stay together, but I’ll admit that I would never want to disappoint our hopeful fans if we were to ever decide that our marriage wasn’t healthy anymore. We love each other and make it work for no one else but ourselves.” This December, the happy couple will be celebrating their ten-year anniversary, but they’re keeping their plans a secret for now! Over the last decade, their relationship and love has evolved simply because they’ve become parents and have “two tiny humans to concern themselves with.” The charms that keep their fairy-tale marriage under a love spell are simple: “communication, love, respect, trust, honesty, fun, humor, adventure, commitment, friendship, forgiveness, and faith.” Quite a long list, but it works for them! The Sutter’s haven’t told their son and daughter about their unconventional romance but will do so when the kids are older. When the parents do share their love story, the Colorado natives plan to give this relationship advice: “Be yourself, marry your best friend, and never settle. The fairy tale is out there, and even though everyone suffers through heartache, we need to be grateful for the road that leads us to the eventual path to our soul mate.” In the meantime, she and Ryan are focused on filling their children’s lives with positivity and every night, they recount the blessings of the day. Never one to slow down, she is continuing her work by partnering with GloryHaus.com and featuring a line of gifts called “The Grateful Heart Collection,” which includes picture frames, wall art, magnets, pillows, jewelry, tote bags, and more — all created with the intention of spreading the word about gratitude. Just in time to start your holiday shopping! With the next season of The Bachelor due to air soon, Sutter advises those women seeking to win the heart of Juan Pablo to have fun, be themselves and make friends! To learn more about Sutter and The Grateful Heart Collection, visit her website, www.tristasutter.com/index.html. 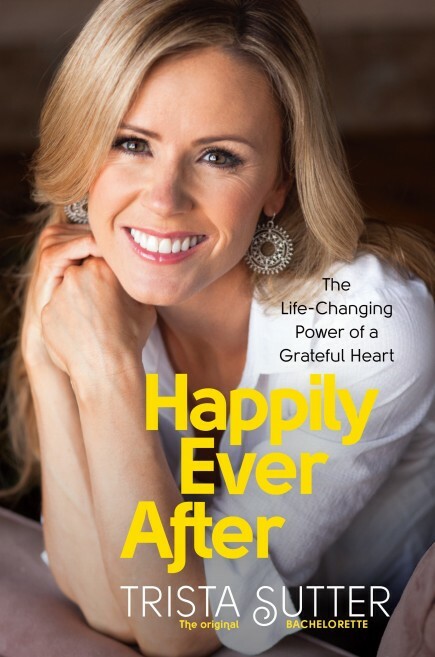 Her book, Happily Ever After: The Life-Changing Power of a Grateful Heart, goes on sale today.